﻿ ecgPlus Technologies Pvt. Ltd.
Signature Smiles is a multispecialty dental setup in Western Mumbai having the unique advantage of being one of the very first and very few ISO 9001-2008 certified dental clinics in India. Signature Smiles currently has 13 centers across Mumbai, India at places like Juhu, Santacruz, Kandivali, Borivali, Malad, Andheri, Bandra, Lokhandwala and is expanding fast. Ceramco Dental Clinic is a multi speciality chain of dental clinics with the best of dentists located in the heart of Mumbai, India including Lokhandwala, Borivali, Vasai & Dombivali. Offering multi-speciality treatment including Dental Implants, Root Canal & Cosmetic Dentistry like Teeth Whitening, Straightning and more.. CERAMCO was founded in 1984 by Dr Uday Tamhankar. Dr. Vora’s Super Speciality Dental Care are in to dental services from more than 30 years, Dr. Hiralal vora was one of the pioneers to start multispeciality dental care in the mulund, upcoming suburb of Central Mumbai [ Bombay ]. Dr. Darshan Vora is a specialist in cosmetic dentistry & a member of European society of cosmetic dentistry. Dr. Naman has done specialization in orthodontics i.e. Braces treatment and he is a member of Indian orthodontic society. Your trial period is fully functional.No commitment and no credit card required. "I currently run a network of 8 dental clinics in Mumbai, located in Borivli, Malad, Andheri (Lokhandwala), 7 Bungalows, Vasai and Dombivali. Since it is difficult for me to be present at all branches, management of the clinics was a challenge especially appointment scheduling, records, lab works, daily collection etc. My prime requirement was online access to all branches i.e. when I am at home or outside Mumbai, I should be aware of what happening in all clinics; that was when I turned to ecgdental keeping certain objective in mind. 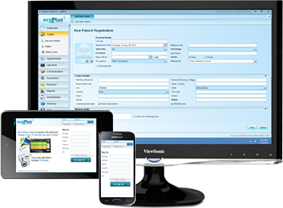 ecgDental is very simple & user friendly. Our in-house staff easily accepted & learned this software, most important, all doctors are now able to access info. online from anywhere. Our lab people are also benefited as they receive all info online; similarly with our chartered accountants. ecgDental have resulted in all round benefits & have met with my greatest expectations. I would strongly recommend its use to any dental practitioner who plans to open a clinic."